For just under ten years Utah Stories has been providing “the voice of local Utah” through authentic local journalism. We have grown organically, by gaining the grass-roots support of local businesses who wish to enhance the coverage and strengthen the voice of Utah’s small business community. Utah Stories unique business model maintains a free magazine containing quality local journalism offering fewer ads per page than other free local magazines. We have done this because we bank on the fact that quality sells itself. By having fewer ads and emphasizing the quality of all of our advertisers, Utah Stories advertising offers proven results. 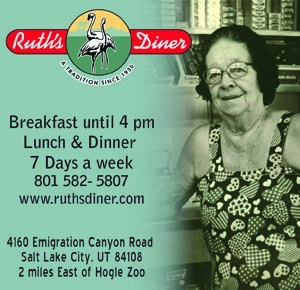 Seventy percent of all advertisers who have signed on to Utah Stories have renewed with us. The bottom line: If your business meets our standards for quality and excellence, there is no better way to get customers in your door and more dollars in your register than advertising in Utah Stories magazine. 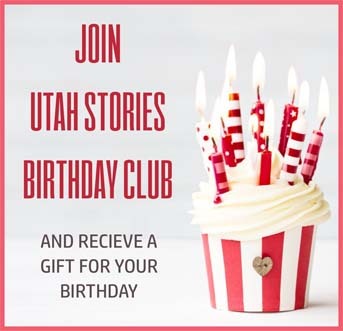 Are you a interested in advertising with Utah Stories? to learn more and receive a free press kit, which includes more demographic information, rates, special offers and back issues. Wide age range of readers: reaching a 60% readership between the ages of 21-38 and 40% readership is 36-65. There is a growing number of consumers who understand that in order to sustain and build a local community, we must seek out and support the best of local Utah products and businesses. Every dollar spent is in essence the most powerful vote we have in shaping both the economics and vibrancy of our communities. It is an integral part of Utah Stories’ mission to find the best local providers and promote them to consumers who are most likely to patronize their stores. Through Utah Stories Magazine we have grown the Made In Utah Festival, which supports the product maker community throughout Utah. Last year (in 2017) over 5,000 attendees came to our Made in Utah Festival and spent their dollars with our specially chosen vendors selling their products. If you are one of these providers (for either goods or services), please fill out this form and we will determine if your business is a good fit for Utah Stories advertising. Sign up to receive Utah Stories updates delivered to your inbox.